NO stag or hen parties, max. of 8 people per group (even if you make several smaller bookings) and no persons under 18 (unless accompanied by a parent). 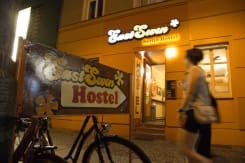 This is the ideal place for travelers seeking the true spirit of Berlin. Property will charge the outstanding amount at any time after the booking has been made. In case the used credit card is not valid, e.g. due to insufficient funds, property will ask via email for new card details. If you don’t provide those details within 24 hours, the property is entitled to cancel your reservation. You can modify or cancel your booking free of charge up to 72 hours before arrival date (local time). Failure to cancel within this time will result in a cancellation charge equal to the first night of your stay. Payments made to 3rd party cannot be refunded by the hostel. To secure your reservation, property will charge the amount for your booked first night 72 hours before arrival date. In case a charge is not possible, e.g. 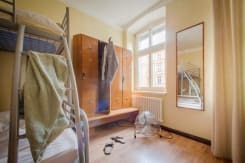 due to insufficient funds, the property will notify you email If you don’t provide valid card details within 24 hours, the hostel will cancel your reservation. The name on the booking must be the same as on the used credit card. In case both names do not match, property is entitled to cancel your reservation. Reception is open from 7am until midnight. Check-in is from 3pm until midnight. 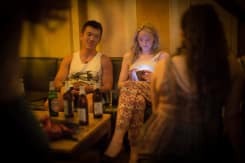 We don’t accept guests younger than 18 years of age (unless accompanied by a parent). 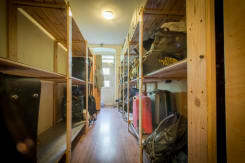 We accept bookings of up to eight people. There's no elevator, sorry - this is a nice old building. 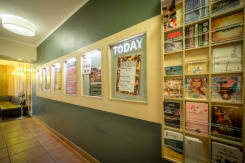 The hostel is accessible 24 hrs with a code. If you experience ANY hazzle - phone us, we will help you. 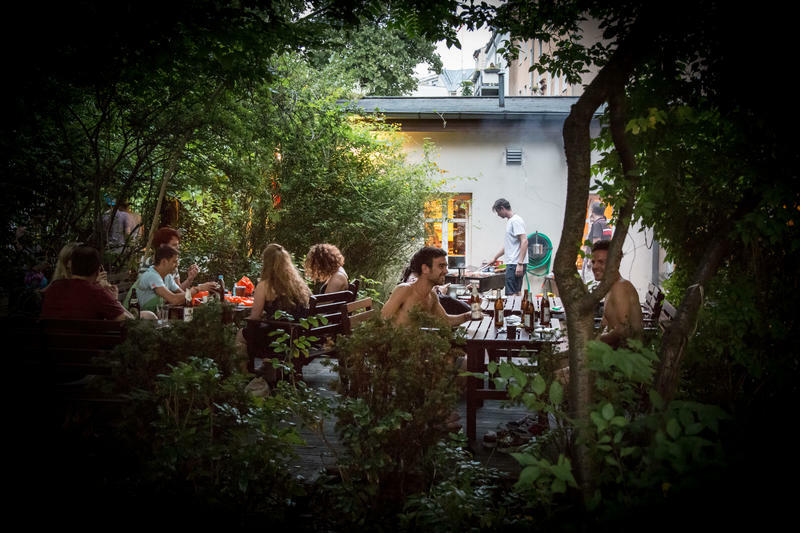 Conveniently located between the hustle and bustle of Mitte (the city's central district) and charming Prenzlauer Berg, we are surrounded by cafés, restaurants, bars, clubs and great shops. 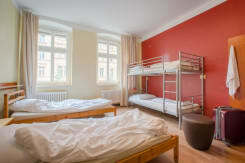 We are also within walking distance of Alexanderplatz, the heart of Berlin.